Laser Hair Removal is a treatment that uses a laser to remove unwanted hair. Our laser hair removal treatments in Kelowna work much differently than traditional hair removal practices such as shaving and waxing. 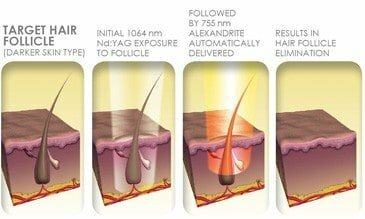 Laser hair removal targets the hair follicles on a specific area of the body and the procedure damages these follicles. Over a number of treatments, the root will become permanently damaged and will prevent the hair from growing back. The goal of laser hair removal is to prevent the regrowth of dark, coarse hair that causes esthetic displeasure and/or discomfort. The laser can target numerous hairs at the same time so while some discomfort is felt, laser hair removal treatment is relatively easy. Depending on the area treatments can take between a few minutes for small areas such as the eyebrows or upper lip, and up to an hour for large areas such as the leg. Laser hair removal works best on dark coarse hairs, such as those in the leg, bikini and underarm areas. 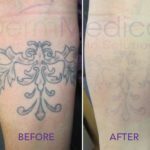 While many people are good candidates for laser hair removal, the procedure works best on those who are light-skinned with dark hair. Those who have darker skin or blonde may find that treatments are less successful; however a person may still be a candidate for laser hair removal procedures. Contrary to advertisements you may see – at this point in time there is no effective procedure to remove red, white or gray hairs. The difference in effectiveness in laser hair removal between patients in the case of hair colour is the result of how specific hair colours influence the absorption of the laser heat energy. Darker hairs are more likely to absorb the laser treatments as it also absorbs more heat energy than blonde hair. This high level of heat absorption allows for a more successful treatment to damage the hair follicle. Skin colour can affect the success of laser hair removal for a similar reason. Because darker skin is more likely to absorb heat, the laser has a more challenging time targeting the hair follicle in darker skin, which can affect the long-term success of the treatment. In addition, those with darker skin may experience more side effects from laser hair removal treatment such as skin damage. However this can often be decreased by the skin & laser treatment professional performing the laser hair removal treatment adjusting the laser. It is important to note that laser hair removal takes more than one treatment, and one might find that their hair growth appears worse after a treatment or two. This is because the laser has damaged the hair follicle at the same rate. Typically hair grows at different intervals due to resting follicles, and natural shedding. These intervals are not disrupted with shaving or waxing. However, when you have a laser hair removal treatment, all of the follicles will be at the same growth cycle stage. This is an expected side effect and not meant to cause alarm. This is also a benefit to your further hair removal treatments, as hair follicles growing at the same rate are easier to target. If you are interested in receiving Laser Hair Removal in Kelowna, contact us today for a consultation. Is There a Reason That My Laser Hair Removal May Be Wearing off Quickly? I Had the Procedure at a Different Clinic, and It Was Supposed to Last for Many Years, but Only 7 Months Later, I Am Already Feeling a Lot of Growth. Did I Do Something Wrong? There is nothing you can do to reverse the results of laser hair removal. Most patients will find that laser hair removal permanently removes hair, but not all the hair is removed forever. This is why multiple treatments are required and you can never guarantee 100% of the hair will be removed. It is unusual to see a lot of growth after laser hair removal however. 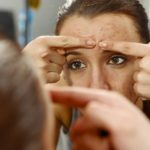 What Treatments Do You Have for Unwanted Facial Hair? Do the Lasers You Use for Laser Hair Removal Work on the Face at All? I've Only Heard of Them Being Used on the Legs. Laser hair removal can most certainly be performed on the face and is in fact one of our most popular procedures. What Is the Best Time to Get Laser Hair Removal? I Want to Make Sure That I Only Need One Treatment to Take Advantage of the Summer Months. How Far in Advance Can I Get Laser Hair Removal and Still Be Hair Free for All/Most of the Summer? You need to take into consideration that multiple treatments are required to have a dramatic reduction in hair with laser hair removal. We normally recommend about 6 treatments to see a 60-80% reduction in hair growth for the area in question. Treatments are usually spaced 4-6 weeks apart depending on the part of the body so you should really plan about 6-9 months ahead of time if you want to be less hairy for any particular occasion. Having said that, right now is always the best time to get anything started so you don’t forget and just keep putting it off. What Advantages Does Laser Hair Removal Have over a Wax? I've Been Waxing for Years, but I'm Considering Trying Laser Hair Removal for the Upcoming Summer. in What Ways Is Laser Hair Removal Better? 1. permanent hair reduction compared to waxing which has no effect on amount of hair in the long term. 2. less painful in the long term. imagine all those hours of painful waxing procedures when you could have just a few laser hair removal sessions and you’re done with it. 3. less money spent over the long run. if you don’t have to buy waxing supplies for the next 30+ years, that will save you a lot more money that it costs to have laser hair removal performed. Laser hair removal pricing varies depending on the area being treated. The most commonly treated areas for women are underarms, bikini area, legs, and face and for men it is the back area. How Much Hair Should Fall Out After Session of Laser Hair Removal? It is normal for the hair to fall out after the laser treatment session as the laser permanently damages that hair. The goal of treatment is to not have the hair grow back afterwards! What Are The Side Effects and Risks Of Laser Hair Removal? As with any laser for medical uses there are potential side effects, some are common, some are much less so. Common side effects include redness and/or sensitivity of the skin after treatment. Less common side effects can occur from excessive energy use which can cause darkening or blistering of the skin which usually heals nicely without incident. Very rarely (if too much energy is used) more severe burns of the skin can occur. When to Stop Shaving Before Laser Hair Removal? It is ideal to shave immediately before your treatment to maximize your results. Shaving will NOT cause your hair to grow in thicker afterwards. How Many Sessions in Average Are Needed to Stop Body Hair Growth? We usually recommend a series of 4-6 treatments to start and then see where you are at. 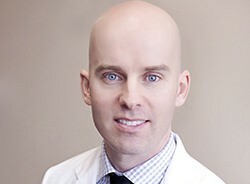 You will never usually eliminate all hair, rather you will have a permanent reduction in the amount of hair. How Long Should I Stay out of the Sun After Laser Hair Removal? We recommend avoiding excessive sun exposure for at least a few days after laser hair removal and then you should be back to normal activity. If your skin is still red after a few days, stay out of the sun until it appears normal once again.